Welcome to the 2nd day of Chocolate and Hazelnuts Theme Week. 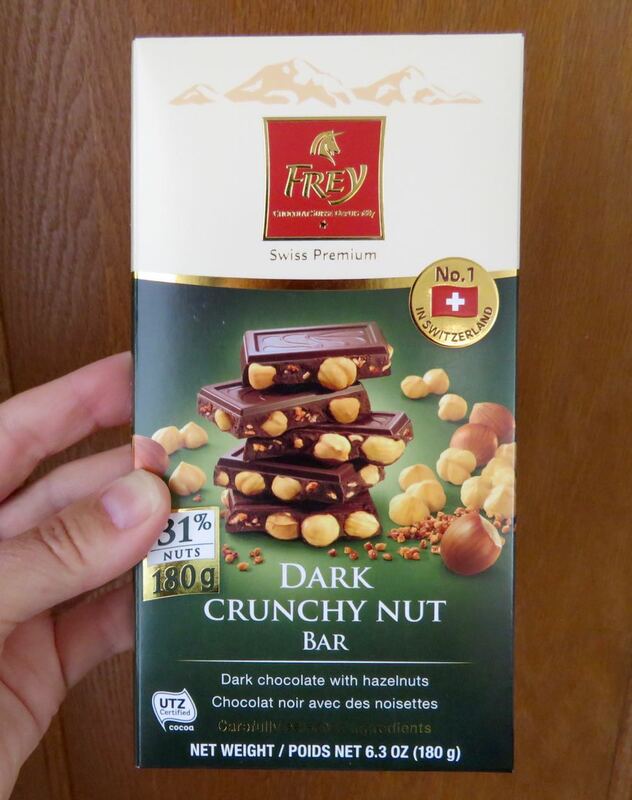 I have a fondness for hazelnut chocolates from Europe, so today's Swiss-made dark chocolate bar chock full of hazelnuts (31% nuts) made the "must try" list some time ago. 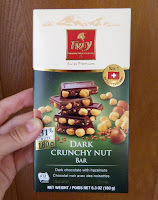 The Dark Crunchy Nut bar from Chocolat Frey AG (Switzerland) was both dark and milk chocolate. The bar contained milk and buttery, sugary crunchy bits, that added crunchy texture and sweetened up the unsweetened dark chocolate. 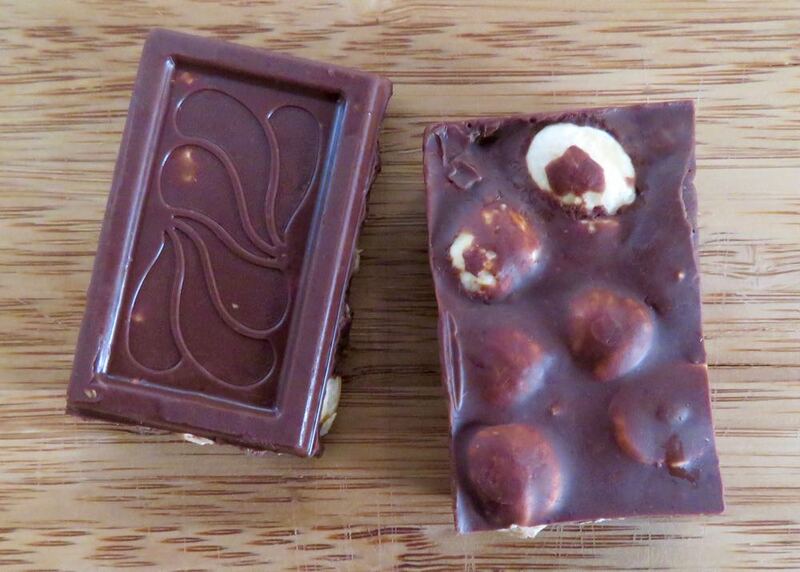 It was a very edible and satisfying bar.